Receive a call back soon. Used for nearly a decade in doctors offices across the country, endovenous thermal ablation (EVTA) is the most effective method for treating varicose veins today. This procedure is performed for our Mission Viejo patients right in Dr. Kanter's Irvine office, using the latest technology to get rid of those unsightly veins for good. The procedure utilizes a fine fiber inserted directly into the diseased vein. Thermal energy is used to collapse the vein so that it disappears completely over time. The procedure takes about thirty minutes to complete at the Vein Center of Orange County. Our Mission Viejo patients are given a local anesthetic so the procedure is completely comfortable. Recovery time is also minimal, with most patients resuming normal activities the next day. Mission Viejo residents looking to say goodbye to networks of spider veins may find the VeinGogh procedure to be the most effective vein treatment for their needs. This procedure uses radiofrequency energy applied directly to the diseased veins, which causes the veins to immediately collapse and shrink from view. The procedure causes minimal discomfort and works best on networks of tiny red and pink spider veins that would not be considered good candidates for sclerotherapy. Dr. Kanter has been performing the VeinGogh procedure on Mission Viejo patients since 2010 at the Vein Center of Orange County with great success. The procedure is considered non-invasive with all patients returning to regular activities immediately afterward. Final vein clearing occurs within one or two weeks. This vein treatment is an effective course for Mission Viejo patients that are looking for a way to permanently get rid of varicose veins. The treatments involve injections of a sclerosant agent that cause veins to collapse and permanently close. Blood is then rerouted to healthy veins in the area. To ensure each injection goes directly into the diseased vein, Dr. Kanter uses ultrasound imaging technology to pinpoint the precise location of the vein. This procedure takes only 15 to 20 minutes to complete, and does not require any anesthesia. The fine needles and non-burning, FDA-approved solution ensure this procedure is comfortable. There is no recovery time, and most of our Mission Viejo patients are back to normal activities right away. Because Dr. Kanter was one of the pioneers of this procedure at the Vein Center of Orange County, he is considered one of the top physicians in the area to offer ultrasound-guided sclerotherapy to Mission Viejo residents. One of the most widely used vein treatments is still considered the gold standard in the permanent removal of small varicose and spider veins. Much less invasive than traditional surgical procedures like stripping, sclerotherapy involves injecting a solution directly into diseased veins, causing them to seal shut and shrink from view. The procedure has been performed by Dr. Kanter at the Vein Center of Orange County for decades, and many Mission Viejo residents have enjoyed satisfactory results from the procedure. Dr. Kanter offers sclerotherapy without anesthetic, since the fine needles and non-burning solution used cause little discomfort for his Mission Viejo patients. The procedure takes only 15 minutes. Patients are back to normal activities right away, although Dr. Kanter does recommend they wear compression stockings and avoid strenuous aerobic exercise for a few days after the procedure. Dr. Kanter has been treating Mission Viejo patients at the Vein Center of Orange County for more than two decades. His training began with his medical degree from the University of Vermont in 1975, followed by a residency at Memorial Hospital in Long Beach, California. By 1990, Dr. Kanter knew he wanted to specialize in the treatment of vein diseases, and he embarked on a fellowship where he learned the top European techniques in the field. Today, Dr. Kanter serves the residents of Mission Viejo and surrounding areas from his Irvine office, where he provides a host of vein treatments for his patients. 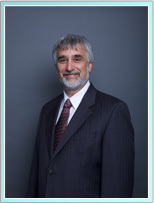 Dr. Kanter is a Diplomate of the American Board of Phlebology. He is also certified by the American Registry for Diagnostic Medical Sonography as a Registered Vascular Tech. Copyright © 2009-2013 VCOC All Rights Reserved.